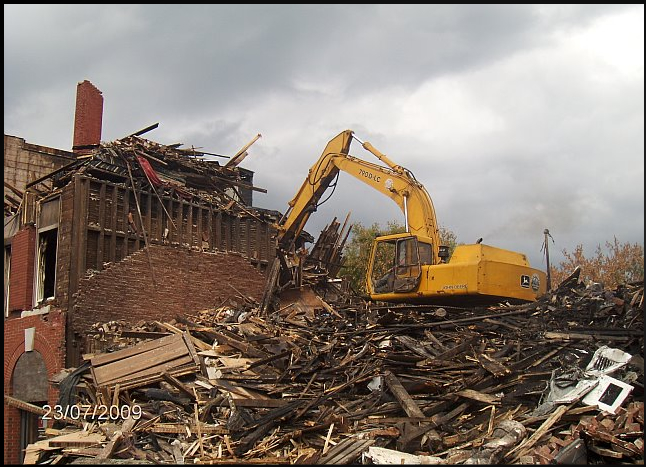 Destruction and removal of buildings & construction debris. 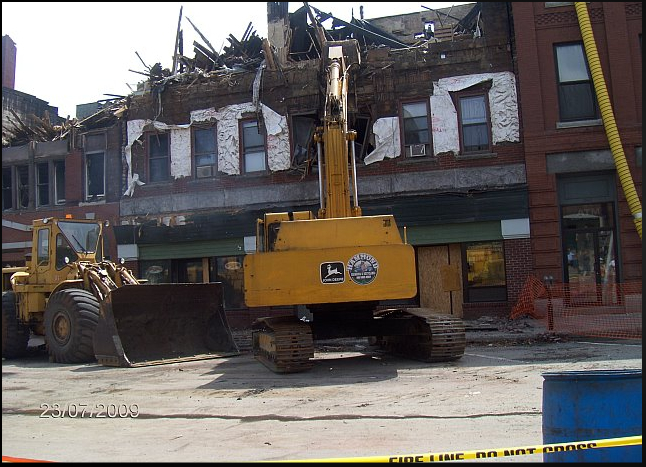 Ask for details about Building Demolition around New England! 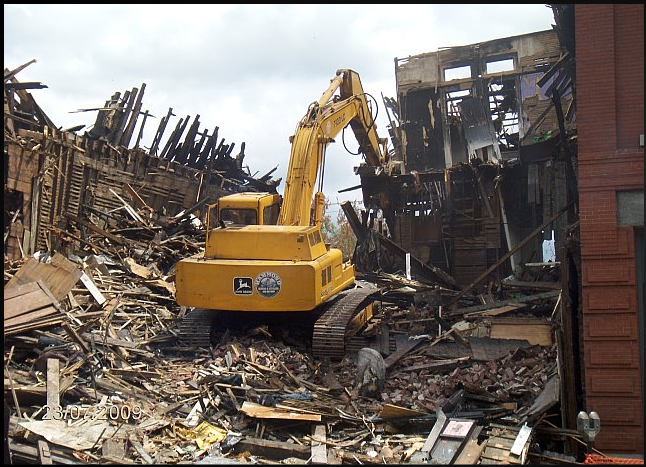 Demolition is the tearing-down of buildings and other structures, the opposite of construction. 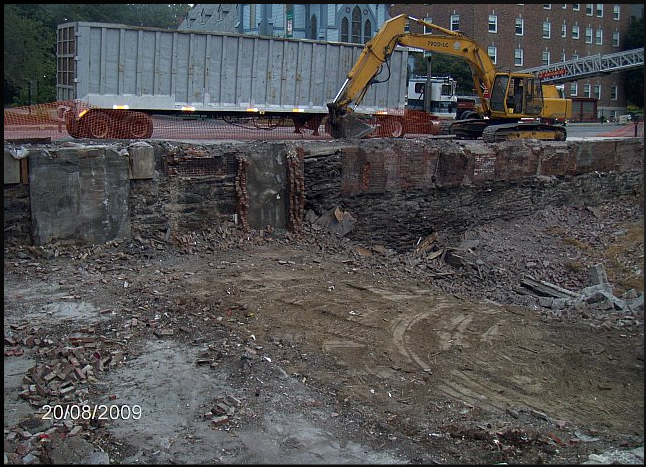 Demolition contrasts with deconstruction, which involves taking a building apart while carefully preserving valuable elements for re-use. 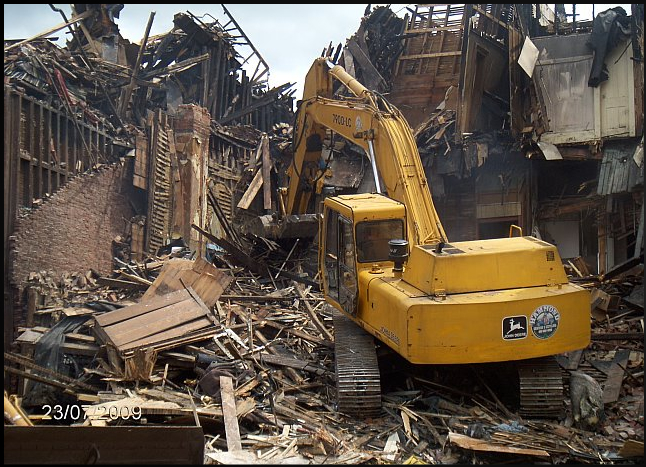 The tallest demolished building was the 47-story Singer Building in New York City, which was built in 1908 and torn down in 1967-1968 to be replaced by One Liberty Plaza.